What analytical techniques are used in quality control for pharmaceuticals? Some of the most commonly used analytical techniques in pharmaceutical quality control include infrared spectroscopy, UV/Visible spectrophotometry, melting point determination, reactions based on color changes, and various types of chromatography, including thin-layer chromatography, high-performance liquid chromatography, and gas chromatography. 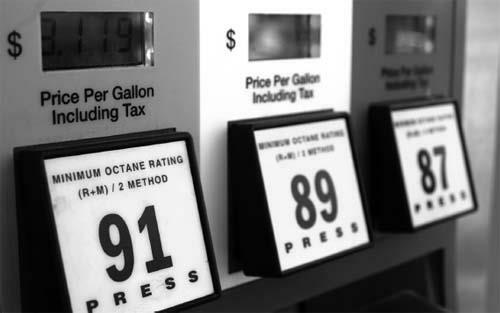 The numbers on gas pump indicate octane ratings, which relate to the amount of compression a fuel can undergo before combusting.